Reliable private WAN solutions that pave the way for cloud and unified communications. Where there is a need for interconnection between remote points of presence of your company with increased protection of data traffic, then we use IP VPN technology. 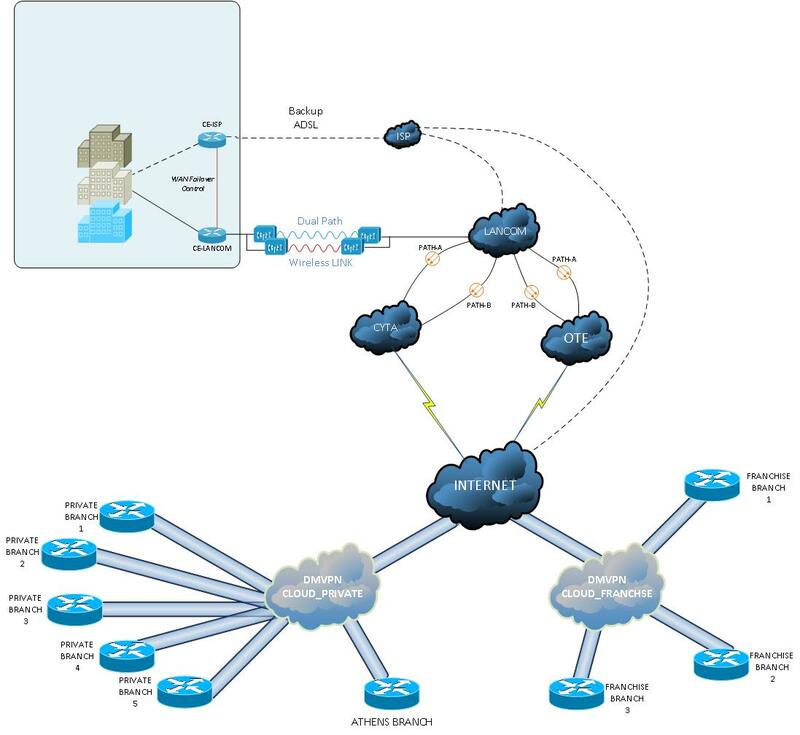 IP VPN service enables the creation of closed private networks, whose members can be connected together in any desired logical topology (star, full mesh or partial mesh). Using either Cisco or Open Source technology, Lancom provides the VPN Concentrator in the “cloud” and configures and technically supports the remote points depending on the requirements of each company. The remote points may have any connection deemed necessary in a techno-economic prespective ( one or more aDSL lines, leased circuit, 3G / 4G GSM). Interested in implementing a VPN?